Advocacy comes in many different forms, so why limit what you can do with your customers? 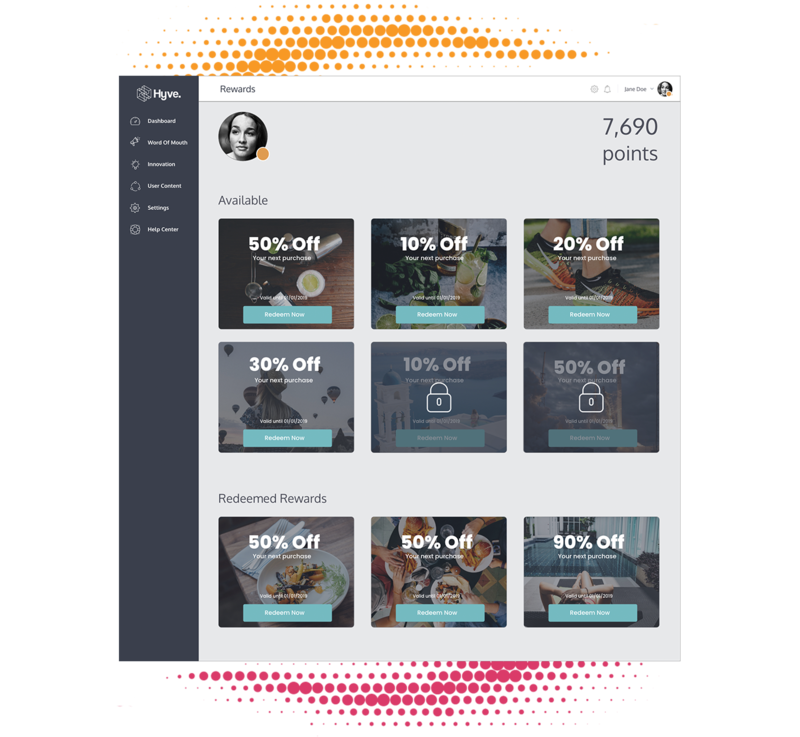 The Hyve Platform lets you collaborate with your customers however you choose, allowing you to create a team of highly-engaged and empowered customers. 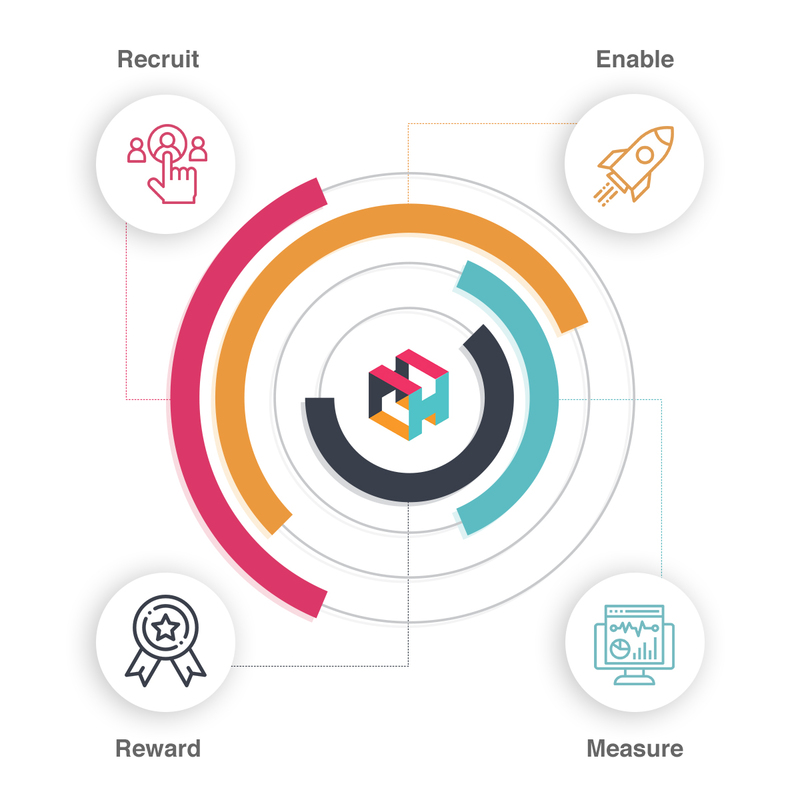 Find and recruit the right customers, onboard and enable them to work alongside you, measure their engagement and reward their success. 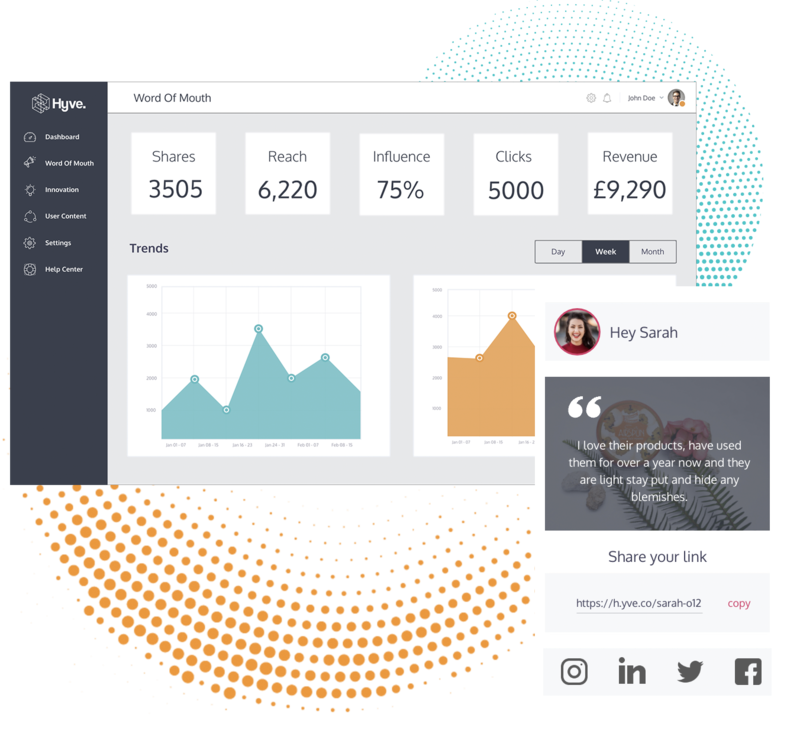 Hyve easily integrates into your existing NPS tool, enabling you to turn would-be promoters into social media advocates; helping you acquire new customers and drive more revenue. Customers share their positive comments alongside brand imagery chosen by you. This then gets shared along with a unique tracking link, allowing you to measure which customers are your biggest influencers. Innovation should be a collaborative exercise and not something done in isolation. With Hyve you can ask your customers for ideas, get them to validate your prototypes and ask them what they really want. 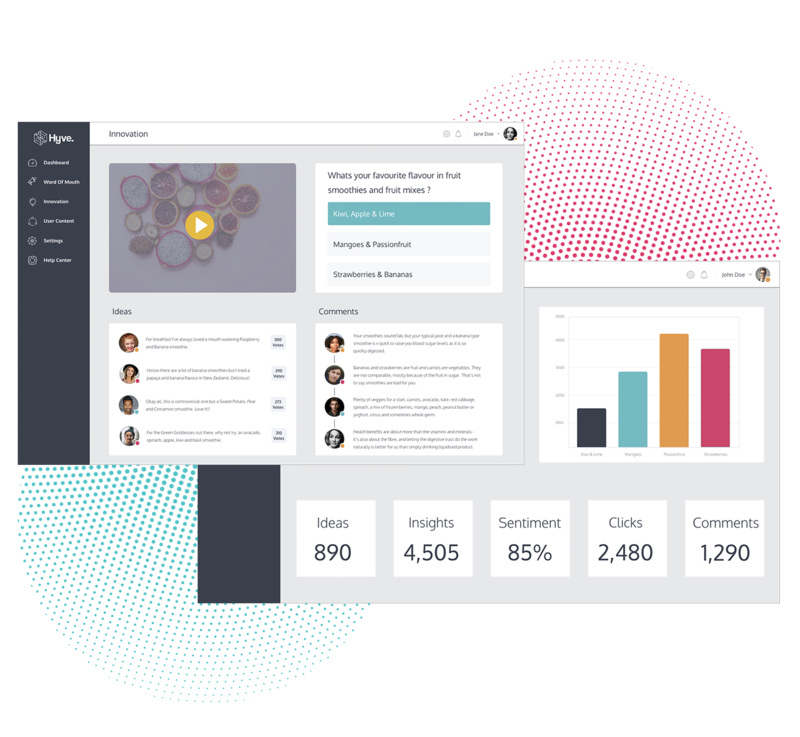 Upload videos to the platform, run polls, launch competitions, conduct interviews and have fun. Everytime a customer interacts with Hyve they are rewarded. This could be a money off their next order, a simple thank you, a gift card or a trip on Elon Musk’s next trip to the moon – this choice is entirely yours! This encourages them to keep helping you – delivering you more valuable activity and insights. Note: Giving away a trip to the moon may not give you the ROI you’re looking for unless you do in fact work for SpaceX, in which case please get in touch. Customers can be a great source of creativity and empowered in the right way they can create some great content. 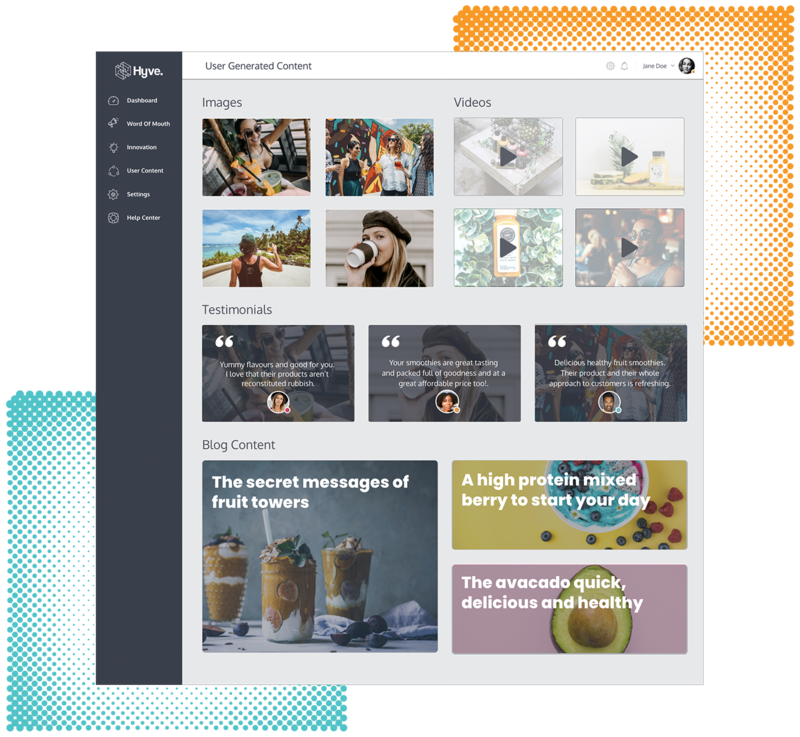 Hyve lets your customers create blogs, contribute to eBooks, write case studies, give testimonials and produce any other form of content you may wish to create. All of this is then managed by you, giving you the ability to edit, publish and share. Once published other customers can share the content too and you can also let them share your brand campaigns, videos and adverts. Hyve is currently in Beta and we are on the lookout for brands that want to build better, more intimate relationships with their customers. Join us today and help us shape the future of customer advocacy.